When visiting Romulus, Michigan, the one shall see its various parks and recreational areas. The Elmer Johnson Park is a nice place to spend some time with the dog as it has enclosed playground area for dogs, a basketball court, volleyball court, archery range, picnic pavilion, softball field, etc. There is also a possibility to rent a particular territory of the park for the private event. The Eugenio Fernandez Park is a newly reconstructed park that is opened from 06:00 until 22:00 during summer and from 06:00 until 18:00 during winter. There are newly equipped walking paths, basketball playgrounds, and chess tables. The park was named so in 1975 in honor of the soldier Eugenio Erasmo Fernandez who died in Vietnam on May 9, 1968. The Mary Ann Banks Park is equipped with the large playscapes, BBQ grills available for public use, and an ice rink that is operating during the winter time only. The Oakbrook Neighborhood Park was opened back in 1970 and extended later in 1975. In 2002, the park went through certain renovations that included construction of the basketball playground and the first netball court in Thousand Oaks. The park is opened daily from 07:00 until 22:00. The Romulus Historical Park represents the combination of old and new in the city. It is located right in the city downtown on Hunt Street. The park is opened from 01:00 until 16:00 during the week. The park was opened in 1839 and had a collection of Romulus High School yearbooks back then. The park has now a specific group dedicated to the genealogy. There is evidence that proves the connection of the city with the Civil War as well as the settlement of the first African-American families on the territory of the town. In 1986, the windmill was donated to the park. It was initially located on a farm in Sumpter Township, however, was later moved to Romulus by Tutt Mach. The retired caboose was given out to the park's property as well in 1949. The St. Johns Lodge No.#44 Park (formerly Park #1) is the park located at 31800 Beverly Rd. There are basketball courts, playscape and a picnic pavilion available for those wanting to hold a private event there. The Romulus Athletic Center is a facility used for recreation and conference purposes. The basketball court, as well as the swimming pool, was opened in the center in 2008. 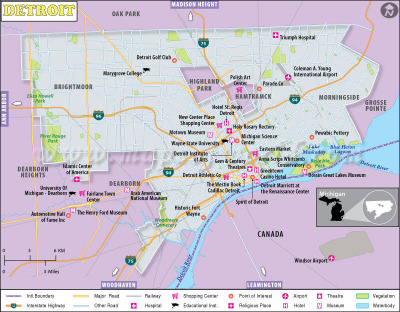 Another place worth visiting might be the Lower Huron Metropark located within the Detroit Metropolitan Area. The park has various walking trails, canoe facilities, and ice-skating rink operating in winter. The Gateway Golf Club that is partly owned the by Ross family that is in business for already 40 years. The club covers a total area of 6,842 yards of the high-quality grass. The Belleville Lake is located in Wayne County of the State of Michigan. It was created in 1925 with the help of the Eastern Michigan Edison Company. It might be a nice place to make a picnic and enjoy the beauty of the surrounding nature.